Are you starting to brain storm about your first dance? 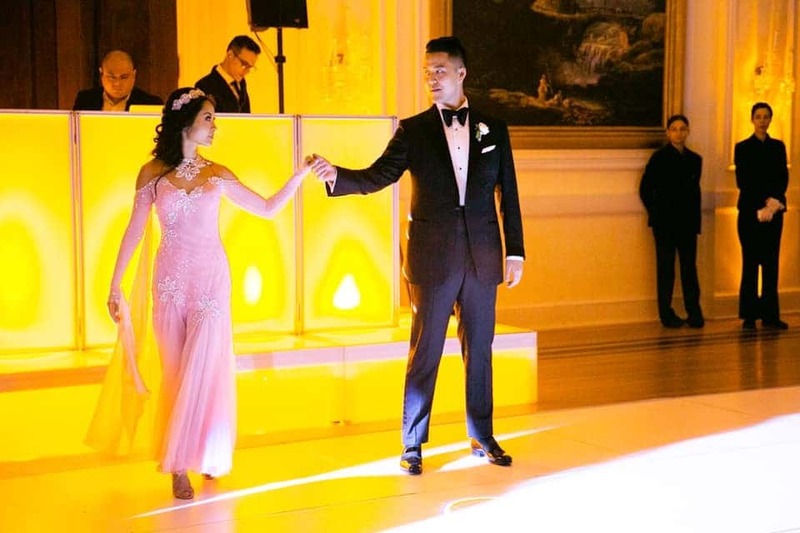 Many couples in Chicago seek guidance from our wedding dance studio. We advise them on how to dance for their wedding. One of the popular topics that surface in our first meeting is about how to pick a dance style for their wedding dance. Couples want to know what are the best wedding dance styles. Why pick one when you can multiple dance styles? Look your best on your wedding day by working with a dance instructor to find the perfect steps that fit your personality. Normally we choose at least 2 dance styles to give our clients a bigger selection of material. During the dance class, the couples get to experience choices. Listed below are some of the most used dance styles in downtown Chicago's Windy City Wedding Dance. This perfect dance style allows the wedding dance clients to move around the dance floor instead of rocking back and fourth in one spot. We can dance the foxtrot timing slow, slow, quick, quick or we can dance all slow at the same pace. The speed of the song is a determining factor along with our dance students preference. If we are short on space and time this dance style utilizes a basic box step and with simple rotation and a ladies underarm we can woo our wedding guests. Because there is a box step in foxtrot we can alternate and substitute patterns to create a wedding dance that utilized more than one dance style. These 2 dance styles are easily combined. Normally Night Club 2 Step is most easily danced to Country and R&B music. We can also combine Night Club 2 Step with foxtrot. This works best when the speed and tempo of the song fall within a specific speed. Night Club 2 Step can be danced solo in the middle of the dance floor. There are numerous exciting patterns, but when combined with foxtrot we get to move across the floor. Many of our clients will request dancing steps with characteristics of the Waltz. They might not have chosen a song with Waltz timing, but they would like their dance to look like a Waltz. By changing the timing slightly and adding some styling, we are able to accomplish their goals. Before you know it we are executing a perfect wedding dance that sweeps across the floor like a Waltz.